The number of Japanese visitors to South Korea increased at the fastest rate in nine years in 2018. 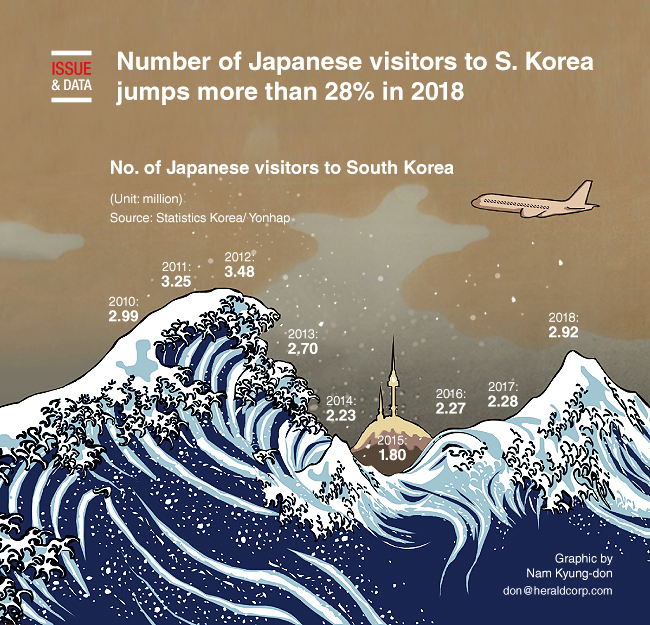 According to data from Statistics Korea, the number of Japanese visitors to the country spiked 28.1 percent on-year to more than 2.92 million in 2018. The rate of increase was the highest since 2009, when the figure rose 28.7 percent from the previous year. On the other hand, the rise in the number of South Korean visitors to Japan slowed from a year earlier, according to data from the Japanese National Tourism Organization.